When I was about 3 years old, I remember that I began to understand how to play group games by the rules. 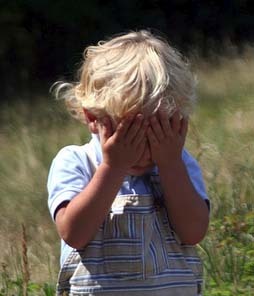 Till now, I still like to play hide and seek. The only difference now is that when I hid something, I can no longer find it when I need it. If I close my eyes now I can still see myself vividly some many suns and many moons ago, I was so excited that I could play, (that’s right), hide and seek with my siblings. When the“it” person started counting, everybody scampered and hid at their favorite hiding places. It was my first to play that game ever. I stood there not knowing what to do. 15, 16 17… and counting, all of a sudden I had this “spark of brilliance” that lit up. At the count of 19, I closed my eyes so tight that it became so dark that no one could see anything at all. At least that’s what I thought. “Fred” the “it” shouted. “You can’t see me”, I retorted. I was so blind confident that no one could see me. Many suns and many moons after that, I still commit that same mistake countless of times in my life, sometimes to my own embarrassment.